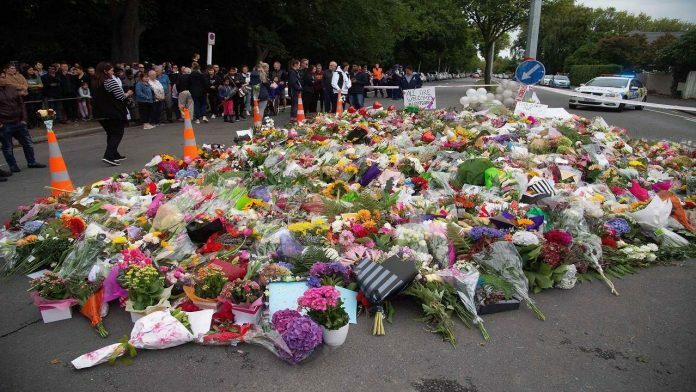 Jewish organisations have condemned the recent terrorist attack at two mosques that left 50 worshippers in Christchurch, New Zealand. New Zealand Prime Minister Jacinda Ardern said the attack last Friday was one of the country’s “darkest days” and is set to announce gun law reforms. Self-confessed white supremacist Australian Brenton Tarrant, 28, has been charged with murder. The killer used modified military-style assault weapons to make them more deadly, not illegal under current legislation. Israel Prime Minister Benjamin Netanyahu said Israel mourned the “wanton murder of innocent worshippers” and condemned the brazen act of terror. The New Zealand Jewish Council issued a statement they had no adequate words to describe how sickened and devastated they were by the co-ordinated attacks. “Our hearts go out to the families of the victims of today’s unspeakable crime of mass murder,” the American Jewish Committee stated. The Anti-Defamation League noted they were devastated by the loss of life in Christchurch. The Zionist Organisation of America condemned the horrific murder whilst the South African Jewish Board of Deputies, on its Facebook page, said they would stand up against hate crimes against all religious communities. France’s Jewish leadership labelled the killings as “murderous and barbaric fanaticism”. World Jewish Congress President Ronald S. Lauder expressed horror and revulsion at the atrocity. “We must redouble efforts to combat hatred and division in our societies, from wherever it emanates,” he said. In the United Kingdom, Chief Rabbi Ephraim Mirvis said there were few acts of greater evil than the massacre of peaceful people at prayer. “The attacks in New Zealand were terrorism of the most despicable kind, callously planned and motivated by the scourge of islamophobia,” he added. Speaking at a solidarity event at London Central mosque, he called for unity between communities. Board of Deputies President Marie van der Zyl was horrified by the sickening terrorist attack, Jewish Leadership Council said it unforgivable to violate a place of worship in such a way, while We Stand Together was horrified by acts of brutality and hate. “Whether perpetrated on a Mosque in Christchurch, a Synagogue in Pittsburgh, a Church in Quetta or anywhere else, acts of violence motivated by intolerance and hatred have no place in our world,” they noted. Dr Edie Friedman, JCORE called on communities to develop stronger and to hold certain politicians and sections of the media accountable when they reinforce negative attitudes and stereotypes about minority communities on social media so as not to give credibility to voices of prejudice and hatred.